Around the late 1980’s used motor vehicles from Japan were arriving into New Zealand in greater numbers than ever before. This increase began to create a need for a freight forwarder who could not only handle motor vehicles but who understood the industry. McCullough Ltd was founded in September of 1991. The company was formed to supply motor vehicle importers with a customs and freight forwarding service that was 100% dedicated to the motor vehicle trade. Today McCullough Ltd not only handles motor vehicles but also general cargo from all over the world. McCullough Ltd has taken that care and attention to detail that is needed for motor vehicles and applied it to all general cargo. 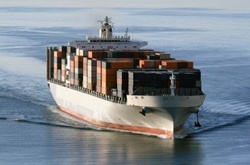 The fine tuned systems and procedures make the Import / Export process easy. Combined with the strong relations with shipping companies / stevedores / government departments and everyone involved in the process we provide a cost effective, personalised service for all your importing and exporting needs. England, Singapore, Australia and USA. From the outset motor vehicles are treated as expensive items with great emphasis on handling. McCullough Ltd see themselves in the market as “Import Management Consultants”. They handle everything from sourcing the vehicles for Supply, to Customs Clearance, Packing/Stuffing, Shipping, Documentation, Foreign Exchange, and Vehicle Transport.